Home Travel Tips & News Travel tips Which airline has the most legroom? If you’ve ever been on a plane, it’s likely you’ve come to the conclusion that all seats are not created equal. At a time when seat sizes are shrinking and amenities like pillows, blankets and snacks are no longer free, it has become more challenging to find comfort at 30,000 feet. One of the biggest contributors to a comfortable flight is how much space you have. Before you book your next flight, check out our airline legroom guide, which provides important tips on the seat width and seat pitch, the distance from one seat to the seat in front or behind it – what travelers often refer to as “legroom.” The pitch varies from seat to seat, row to row, type of aircraft and airline. Bottom line: size matters. The higher the seat pitch number, the better. Just remember, legroom can change from time to time so be sure to check with the airline directly for the most up to date figures. 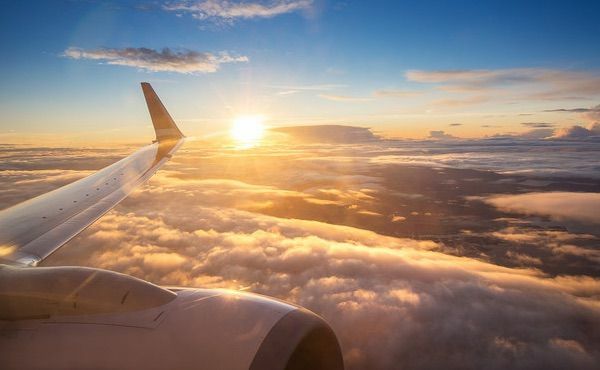 Whether you’re in it for the long haul (or short haul), there are some proactive things you can do, from shopping around for the best fares to comparing which airlines have the widest seats and most legroom to following our tips for booking the best seat. Here is our airline legroom guide to help you fly the friendly skies more comfortably. And when you’re ready to book that perfect airplane seat, search for flights on Cheapflights.com. Happy (and comfortable) travels! Seat size: Air Canada’s seat width and seat pitch vary by aircraft and route. Airbus A321-200: Seat width of 18 inches and 32-inch seat pitch. Airbus A320-200: Seat width of 18 inches and 30- to 32-inch seat pitch. Airbus A319-100: Seat width of 18 inches and 31- to 32-inch seat pitch. Embraer 190: Seat width of 18 inches and 32-inch seat pitch. Embraer 175: Seat width of 18 inches and 32- to 24-inch seat pitch. Bombardier CRJ705: Seat width of 17 inches and 34- to 41-inch seat pitch. Bombardier Q400: Seat width of 17 inches and 31-inch seat pitch. Bombardier CRJ100/200: Seat width of 17 inches and 31- to 33-inch seat pitch. Bombardier DASH 8-300: Seat width of 17 inches and 31- to 33-inch seat pitch. Bombardier DASH 8-100: Seat width of 17 inches and 31- to 33-inch seat pitch. Boeing B787-8: Seat width of 17.3 inches and 31-inch seat pitch. Boeing 777-300ER: Seat width of 19 inches and 32-inch seat pitch. Boeing 777-300ER: Seat width of 17 inches and 31-inch seat pitch. Boeing 777-200LR: Seat width of 19 inches and 32-inch seat pitch. Boeing 767-300ER: Seat width of 18 inches and 31- to 33-inch seat pitch. Boeing 767-300ER: Seat width of 18 inches and 31- to 34-inch seat pitch. Airbus A330-300: Seat width of 18 inches and 32- to 33-inch seat pitch. Upsize options: There are two upgrade options if you want to stretch out: Premium Economy and Business Class (which has three varieties depending on the aircraft and route). Airbus A321-200: Seat width of 21 inches and 37-inch seat pitch. Airbus A320-200: Seat width of 21 inches and 37- to 38-inch seat pitch. Airbus A319-100: Seat width of 21 inches and 38- to 39-inch seat pitch. Embraer 190: Seat width of 20 inches and 38-inch seat pitch. Embraer 175: Seat width of 20 inches and 38-inch seat pitch. Bombardier CRJ705: Seat width of 20 inches and 37-inch seat pitch. Business Class on Transcontinental flights is offered exclusively on flights operated by wide-body aircraft (Boeing 787, Boeing 777, Boeing 767 and Airbus A330 aircraft) on routes to/from Toronto and Calgary, Canada, Los Angeles, San Francisco and Vancouver and to/from Vancouver and Montreal, Canada and includes the following options: 21-inch wide Executive Pod on Boeing 787 Dreamliner aircraft; 21-inch wide Classic Pod (offered on the most of the aircraft that comprise the international fleet); and 20.5-inch wide Studio Pod. The third Business Class type, Business Class on international flights, includes the same options. Seat size: Alaska Airlines operates a young fleet of Boeing 737 aircraft and Bombardier Q400 aircraft. The fleet features leather seats with in-seat power on nearly all planes. All seats in Coach Class are 17 inches wide, recline three inches and have a seat pitch of 31 to 32 inches. Upsize options: Passengers can book Preferred Plus Seats, which are located in row six and in the exit rows on select flights. The seats offer the same three inches of recline as the standard seats do (except in row 16, which doesn’t recline) but more legroom: a 36- to 40-inch seat pitch. Mileage Plan Elites can reserve the seats when booking travel; all customers can upgrade during flight check-in. Passengers can also book a First Class seat to enjoy a seat pitch of up to 36 inches and a seat width of 21 inches. Seat size: Low cost air carrier Allegiant Air has the same seats throughout each of its planes; however, the seat pitch varies by specific row and by aircraft, which include McDonnell Douglas MD-80, MD-83s and MD-88s, Boeing 757, Airbus A319 and Airbus A320. The seat pitch across Allegiant Air’s fleet ranges from 28 to 34 or more inches. Upsize options: Allegiant Air has all-coach configurations on its plane, but select flights offer Legroom+ seating, which offers a larger seat pitch of up to 34 inches, and Giant Seats, which have wider seats, comfy headrests and more legroom. There are six Giant Seats per plane, in the front row and mid-cabin emergency exit row, on planes that fly to and from Hawaii and several Western U.S. cities. Seat size: US Airways merged with American Airlines in October 2015 and all aircraft now fly under the American Airlines name. Seat size and seat pitch on American Airlines depends on which aircraft passengers are flying in the fleet of 627 planes. Boeing 777-300ER: Main Cabin seats are 17 inches wide between armrests and offer a seat pitch of 31 or 32 inches. 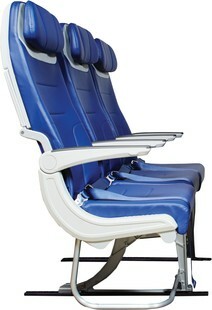 Boeing 777-200ER: Main Cabin seats are 18- or 18.5- inches wide between armrests and offer a seat pitch of 31 or 32 inches. Boeing 767-300ER: Main Cabin seats are 17.8 inches wide between armrests and offer a seat pitch of 31 inches. Boeing 767-200ER: Main Cabin seats are 17.8 inches wide between armrests and offer a seat pitch of 31 or 32 inches. Boeing 757-200: Main Cabin seats are 17.2 inches wide between armrests and offer a seat pitch of 31 or 32 inches. Boeing 737-800: Main Cabin seats are 17.2 inches wide between armrests and offer a seat pitch of 31 inches. MD-80: Main Cabin seats are 17.8 inches wide between armrests and offer a seat pitch of 31 to 33 inches. Airbus A319: Main Cabin seats are 17.7 inches wide between armrests and offer a seat pitch of 30 inches. Airbus A321: Main Cabin seats are 17.7 inches wide between armrests and offer a seat pitch of 31 inches. Upsize options: Upgrade options and availability, from booking a Main Cabin Extra seat in coach to upgrading to Business or First class, is dependent on aircraft type. Boeing 777-300ER: The three upgrade options include: 18-inch wide Main Cabin Extra seats with a 36-inch seat pitch; 21-inch wide Business seats with a 43-inch seat pitch; and 20.8-inch wide First seats with a 63-inch seat pitch. Boeing 777-200ER: The two upgrade options include: 21- or 26-inch wide Business seats with a 60- or 61-inch seat pitch; and 30-inch wide First class seats with a 64-inch seat pitch. Boeing 767-300ER: The two upgrade options include: 17.8-inch wide Main Cabin Extra seats with a 35-inch seat pitch; and 22.6-inch wide Business seats with a 58-inch seat pitch. Boeing 767-200ER: The two upgrade options include: 18.5-inch wide Business seats with a 49- to 50-inch seat pitch; and 20.5-inch wide First class seats with a 62-inch seat pitch. Boeing 757-200: American Airlines has two domestic configurations and one international configuration of this aircraft model, which affects the number of seats offered. All three configurations offer the same two upgrade options, which include: 17.2-inch wide Main Cabin Extra seats with a seat pitch that ranges from 36 to 39 inches; and 21-inch wide First class seats with a seat pitch that ranges from 38 to 39 inches on domestic configurations and 20- to 23.6-inch wide First class seats with a seat pitch that ranges from 58 to 59 inches on international configurations. Boeing 737-800: American Airlines has two configurations of this aircraft model. Both configurations offer the same two upgrade options, which include: 17.2-inch wide Main Cabin Extra seats with a 35-inch seat pitch; and 21-inch wide First seats with a 40- or 41-inch seat pitch. MD-80: The two upgrade options include: 17.8-inch wide Main Cabin Extra seats with a 35-inch seat pitch; and 19.5-inch wide First seats with a 38- or 40-inch seat pitch. Airbus A319: The two upgrade options include: 17.7-inch wide Main Cabin Extra seats with a 34-inch seat pitch; and 22-inch wide First seats with a 38-inch seat pitch. Airbus A321: The three upgrade options include: 17.7-inch wide Main Cabin Extra seats with a 35-inch seat pitch; 21-inch wide Business seats with a 63-inch seat pitch; and 27.4-inch wide First seats with a 43-inch seat pitch. 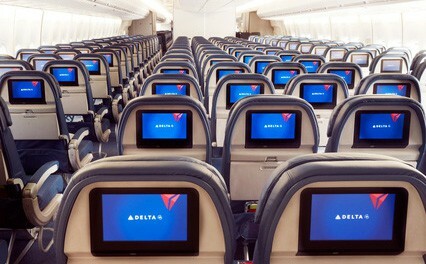 Seat size: Seat size and seat pitch on Delta Air Lines depends on which aircraft passengers are flying. Delta Air Line’s fleet includes a few dozen aircraft types. Airbus A319-100 / Airbus A319 (31C) VIP / Boeing 737-700-73W/ Boeing 737-900ER-739 / Boeing 757-300-75Y: Main Cabin seats are 17.2 inches wide between armrests and offer a seat pitch of 30 to 31 inches. Airbus A319-31J / Airbus A320/32K: Main Cabin seats are 18 inches wide between armrests and offer a seat pitch of 30 to 31 inches. Airbus A320/32R / Boeing 737-800-738 / Boeing 737-800-73H / Boeing 747-400-744 / Boeing 757-200-75X: Main Cabin seats are 17.2 inches wide between armrests and offer a seat pitch of 31 to 32 inches. Airbus A330-200-332 / Airbus A330-300-333: Main Cabin seats are 18 inches wide between armrests and offer a seat pitch of 31 to 32 inches. Boeing 717: Main Cabin seats are 18.1 inches wide between armrests and offer a seat pitch of 31 inches. Boeing 757-200-75A: Main Cabin seats are 17.2 inches wide between armrests and offer a seat pitch of 31 inches. Boeing 757-200-75D / Boeing 757-200-75H / Boeing 757-200-75M: Main Cabin seats are 17.2 inches wide between armrests and offer a seat pitch of 30 to 32 inches. Boeing 757-200-757 / Boeing 757-200-75S / Boeing 757-200-75V: Main Cabin seats are 17.2 inches wide between armrests and offer a seat pitch of 31 to 33 inches. Boeing 767-300-76Q/P / Boeing 767-300-76L / Boeing 767-300-76T / Boeing 767-300ER (v.1 and v.2) / Boeing 767-400-76D: Main Cabin seats are 17.9 inches wide between armrests and offer a seat pitch of 31 to 32 inches. Boeing 777-200ER / Boeing 777-200LR: Main Cabin seats are 18.5 inches wide between armrests and offer a seat pitch of 31 to 32 inches. Canadair Regional Jets – CRJ 100/200 Endeavor Air/SkyWest / Canadair Regional Jets – CRJ-200 (EV) / Canadair Regional Jets – CRJ 700 / Canadair Regional Jets – CRJ 900: The all-coach aircraft has 50 seats that are 17.3 inches wide between armrests and offer a seat pitch of 31 inches. Embraer E170 / Embraer E175-Shuttle America / Embraer E175-Compass: Main Cabin seats are 18.3 inches wide between armrests and offer a seat pitch of 31 inches. Embraer ERJ-145: The all-coach aircraft has 50 seats that are 17.3 inches wide between armrests and offer a seat pitch of 31 inches. McDonnell Douglas MD-88: Main Cabin seats are 17.2 inches wide between armrests and offer a seat pitch of 30 to 33 inches. McDonnell Douglas MD-90: Main Cabin seats are 18.1 inches wide between armrests and offer a seat pitch of 30 to 31 inches. Upsize options: Upgrade options and availability, from booking a Delta Comfort+ seat in coach to upgrading to Business or Delta One/First class, is dependent on aircraft type. Delta Comfort+ is available on flights within the U.S. and Canada. Starting with travel departing on or after May 16, 2016, Delta Comfort+ will appear as an option for booking along with Main Cabin and First Class on select flights. 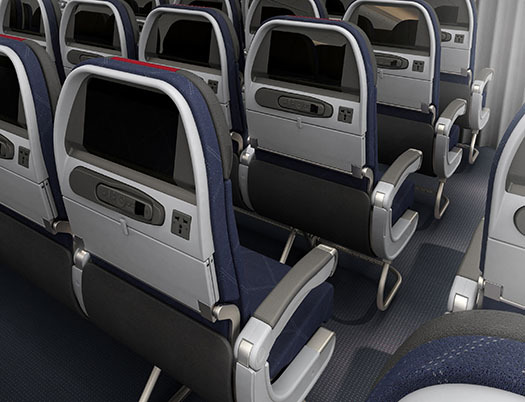 Delta One is the newest travel class option with 180-degree flat-bed seats. It is offered on all long-haul international flights and all cross-country flights between New York City’s John F. Kennedy International Airport and Los Angeles International Airport or San Francisco International Airport. Airbus A319-100 / Airbus A320/32R: The two upgrade options include: 18 17.2-inch wide Delta Comfort+ seats with a 34-inch seat pitch; and one dozen 21-inch wide First Class seats with a 36-inch seat pitch. Airbus A319 (31C) VIP: The two upgrade options include: 14 21-inch wide Business Class seats with a 59-inch seat pitch; and 28 19.4-inch wide First class seats with a 40-inch seat pitch. Airbus A319-31J: The two upgrade options include: 18 18-inch wide Delta Comfort+ seats with a 34-inch seat pitch; and one dozen 21-inch wide First Class seats with a 36-inch seat pitch. Airbus A320/32K: The two upgrade options include: 18 18-inch wide Delta Comfort+ seats with a 34-inch seat pitch; and 16 21-inch wide First Class seats with a 36-inch seat pitch. Airbus A330-200-332: The two upgrade options include: 32 18-inch wide Delta Comfort+ seats with a 35-inch seat pitch; and two dozen 21-inch wide Delta One seats with an 80-inch seat pitch. Airbus A330-300-333: The two upgrade options include: 40 18-inch wide Delta Comfort+ seats with a 35-inch seat pitch; and 34 21-inch wide Delta One seats with an 80-inch seat pitch. Boeing 717: The two upgrade options include: 20 18.1-inch wide Delta Comfort+ seats with a 34-inch seat pitch; and one dozen 19.6-inch wide First Class seats with a 37-inch seat pitch. Boeing 737-700-73W: The two upgrade options include: 18 17.2-inch wide Delta Comfort+ seats with a 34-inch seat pitch; and one dozen 21-inch wide First Class seats with a 37-inch seat pitch. Boeing 737-800-738 / Boeing 737-800-73H: The two upgrade options include: 18 17.2-inch wide Delta Comfort+ seats with a 34-inch seat pitch; and 16 21-inch wide First Class seats with a 38-inch seat pitch. Boeing 737-900ER-739: The two upgrade options include: 21 17.2-inch Delta Comfort+ seats with a 34-inch seat pitch; and 20 21-inch wide First Class seats with a 37-inch seat pitch. Boeing 747-400-744: The two upgrade options include: 42 17.2-inch wide Delta Comfort+ seats with a 35-inch seat pitch; and four dozen 20.5-inch wide Delta One seats with an 82-inch seat pitch. Boeing 757-200-75A: The two upgrade options include: 18 17.2-inch wide Delta Comfort+ seats with a 35-inch seat pitch; and two dozen 21-inch wide First Class seats with a 40-inch seat pitch. Boeing 757-200-75D / Boeing 757-200-75H: The two upgrade options include: 29 17.2-inch wide Delta Comfort+ seats with a 34-inch seat pitch; and 20 21-inch wide First Class seats with a 37-inch seat pitch. Boeing 757-200-75M: The two upgrade options include: 18 17.2-inch wide Delta Comfort+ seats with a 34- to 35-inch seat pitch; and 22 21-inch wide First Class seats with a 37-inch seat pitch. Boeing 757-200-757: The two upgrade options include: 20 17.2-inch wide Delta Comfort+ seats with a 34- to 35-inch seat pitch; and two dozen 21-inch wide First Class seats with a 37- to 38-inch seat pitch. Boeing 757-200-75S: The two upgrade options include: 44 17.2-inch wide Delta Comfort+ seats with a 35-inch seat pitch; and 16 22.2-inch wide Delta One seats with a 76-inch seat pitch. Boeing 757-200-75V: The two upgrade options include: 21 17.2-inch wide Delta Comfort+ seats with a 34- to 35-inch seat pitch; and 22 21-inch wide First Class seats with a 44- to 46-inch seat pitch. Boeing 757-200-75X: The two upgrade options include: 26 17.2-inch wide Delta Comfort+ seats with a 34-inch seat pitch; and 26 21-inch wide First Class seats with a 38-inch seat pitch. Boeing 757-300-75Y: The two upgrade options include: 32 17.2-inch wide Delta Comfort+ seats with a 34-inch seat pitch; and two dozen 21-inch wide First Class seats with a 37- to 38-inch seat pitch. Boeing 767-300-76Q/P: The two upgrade options include: 28 17.9-inch wide Delta Comfort+ seats with a 34-inch seat pitch; and 30 18.5-inch wide First Class seats with a 37- to 38-inch seat pitch. Boeing 767-300-76L: The two upgrade options include: 32 17.9-inch wide Delta Comfort+ seats with a 35-inch seat pitch; and three dozen 21-inch wide First Class seats with a 77- to 81-inch seat pitch. Boeing 767-300-76T: The two upgrade options include: 29 17.9-inch wide Delta Comfort+ seats with a 35-inch seat pitch; and three dozen 21-inch wide First Class seats with a 77- to 81-inch seat pitch. Boeing 767-300ER (v.1 and v.2): The two upgrade options include: 29 17.9-inch wide Delta Comfort+ seats with a 35-inch seat pitch; and 26 21-inch wide First Class seats with a 77- to 81-inch seat pitch. Boeing 767-400-76D: The two upgrade options include: 29 17.9-inch wide Delta Comfort+ seats with a 35-inch seat pitch; and 40 21-inch wide Delta One seats with a 77- to 81-inch seat pitch. Boeing 777-200ER / Boeing 777-200LR: The two upgrade options include: three dozen 18.5-inch wide Delta Comfort+ seats with a 35-inch seat pitch; and 37 21-inch wide Delta One seats with a 78-inch seat pitch. Canadair Regional Jets – CRJ 100/200 Endeavor Air/SkyWest/ Canadair Regional Jets – CRJ-200 (EV) / Embraer ERJ-145: There are no upgrade options. Canadair Regional Jets – CRJ 700: The two upgrade options include: eight 17.3-inch wide Delta Comfort+ seats with a 34-inch seat pitch; and nine 19.6-inch wide First Class seats with a 36-inch seat pitch. Canadair Regional Jets – CRJ 900: The two upgrade options include: one dozen 17.3-inch wide Delta Comfort+ seats with a 34-inch seat pitch; and one dozen 19.6-inch wide First Class seats with a 37-inch seat pitch. Embraer E170: The two upgrade options include: one dozen 18.3-inch wide Delta Comfort+ seats with a 34-inch seat pitch; and nine 20-inch wide First class seats with a 37-inch seat pitch. Embraer E175-Shuttle America / Embraer E175-Compass: The two upgrade options include: one dozen 18.3-inch wide Delta Comfort+ seats with a 34-inch seat pitch; and one dozen 20-inch wide First class seats with a 37-inch seat pitch. McDonnell Douglas MD-88: The two upgrade options include: 25 17.2-inch wide Delta Comfort+ seats with a 34-inch seat pitch; and 16 19.6-inch wide First Class seats with a 37-inch seat pitch. McDonnell Douglas MD-90: The two upgrade options include: 25 18.1-inch wide Delta Comfort+ seats with a 34-inch seat pitch; and 16 19.6-inch wide First Class seats with a 37-inch seat pitch. Seat size: In July 2015, Frontier announced it was widening the middle seats on its planes. 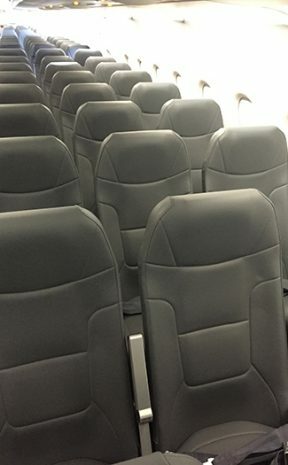 The project has been completed as part of the low-cost airline’s fleet-wide cabin refresh, which included the installation of new fixtures like pre-reclined seats with extra cushioning and carpeting in most of the airline’s existing planes (one plane has not been refreshed and is leaving the fleet soon), according to Frontier. 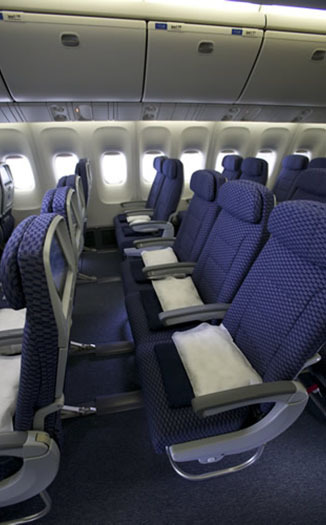 The aisle and window seats remain the same size as before, but the new seat design uses space more efficiently to allow for the middle seat to be one inch wider. 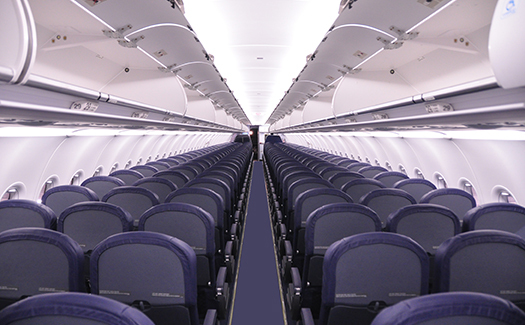 Fleet-wide aisle seats and window seats are 18.1 inches wide and middle seats are 19.3 inches wide. Seat pitch varies by aircraft type: standard seats on the A319 and A320 have a 28-inch seat pitch and standard seats on the A321 have a 29-inch seat pitch. Upsize options: Travelers who opt to upgrade to Stretch seating get enjoy in-flight service first, get off the plane first and sit in seats that are laptop friendly and offer more legroom: 33 inches to be exact on all aircraft types. Seat size: Hawaiian Airlines seat width and seat pitch vary by aircraft. The Airbus A330 has a seat pitch that ranges from 31 inches to 32 inches in coach and 45 inches to 46 inches in First Class; the Boeing 717-200 offer an 18-inch wide seat for all seats and a seat pitch that ranges from 29 inches to 31 inches in coach and 37 inches in First Class; and the Boeing 767 boasts a 32-inch seat pitch in coach and 42-inch seat pitch in First Class. 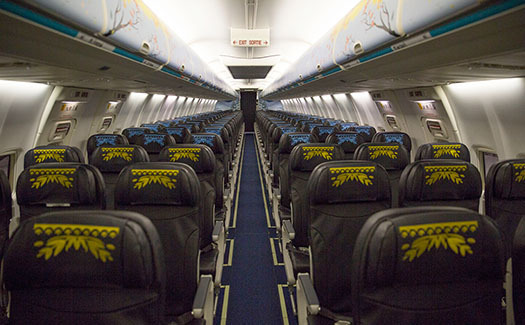 The smaller ATR 42-500 aircraft, which connect Hawaiian islands Oahu, Lanai, Molokai, Maui and Hilo on Hawaii Island offer a 30-inch seat pitch for all 48 seats. 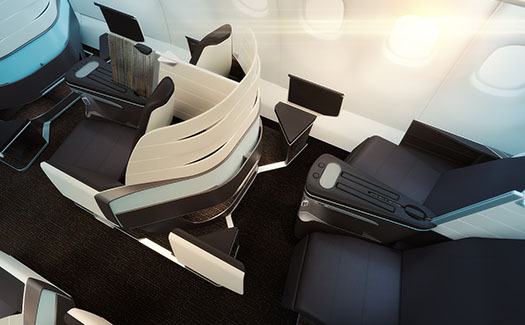 Upsize options: The Extra Comfort seating, available only on the Airbus A330, features a 36-inch seat pitch; priority boarding at the gate, complimentary on-demand in-seat entertainment and a personal power outlet. Purchasing a First Class seat is also possible on all aircraft except the ATR 42-500 aircraft. For those seeking the ultimate in space, Hawaiian Airlines recently announced its Airbus A330 aircraft will feature 180-degree lie-flat seating in its Premium class. The first newly outfitted aircraft are expected to enter Hawaiian Airlines’ long-haul network in the second quarter of 2016. Seat size: When jetBlue rolled out its all-new fleet of Airbus A320s in 2000, the airline boasted of offering the most legroom in coach (based on average fleet-wide seat pitch of U.S. airlines). The airline is currently undergoing a restyling of its Airbus A320 and A321 fleet, which is expected to be complete by the end of 2016. The newest member of the fleet, the Airbus A321 includes new seats. There are two configurations: the current 159-seat version with the Mint experience (a premium class with fully-flat seats offered on coast-to-coast flights at budget pricing) and an upcoming 200-seat version without the Mint experience due later this year. Both the Airbus A321 and Airbus A320 offer 18-inch wide seats and 32- to 33-inch seat pitch. 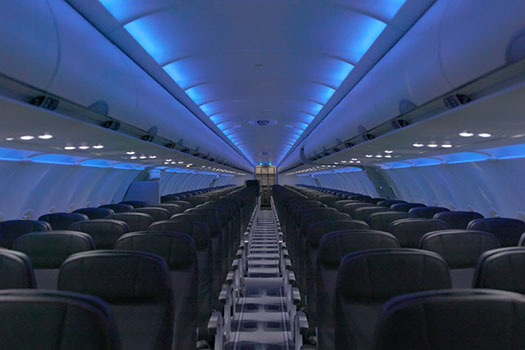 Not part of jetBlue’s restyling program is the Embraer 190, which offers 100 leather seats that are 18.25 inches wide and feature a 32-inch seat pitch. Upsize options: Options for more legroom include Even More Space seats, which offer up to 38 inches of legroom. There are seven rows of Even More Space seats on the Airbus A320 and both Airbus A321 configurations and four rows on the Embraer 190 (rows 1, 12, 13 and 14), offering passengers more legroom, early boarding and more. The Mint experience is offered on the Airbus A321 aircraft on long-haul, coast-to-coast flights. Seat size: The regional airline headquartered in Toronto operates a fleet of Bombardier Aerospace Q400 turboprop aircraft. Porter Airlines offers spacious window and aisle seats with a 32-inch pitch (there are no middle seats), free snacks, free drinks served in glassware and free access to its airport lounges for all passengers. Upsize options: Porter Airlines offers three fare types: Firm, Flexible and Freedom. Travelers can upgrade to a Premium Seat, which offers more legroom, at the time of booking for $20 (Flexible and Freedom fares) and $40 (Firm fares). Premium Seats are located at the front of the plane (Row 1, Seats A and B; and Row 2, Seats A, B, C and D). Seat size: AirTran Airways was merged and fully integrated with Southwest Airlines in December 2014 and all aircraft fly under the Southwest Airlines name. America’s largest low-cost carrier consistently boasts a 32-inch seat pitch on all seats except those on its Boeing 737-700 fleet, which offer a 31-inch seat pitch and a seat width of 17.3 inches. Wider seats (17.8 inches) are coming to its new Boeing 737-800 beginning in mid-2016 and Boeing 737 MAX aircraft in 2017. The new, lighter seats will also include an adjustable headrest and will be upholstered with eLeather, a composition leather made of natural leather fibers. Upsize options: There is no assigned seating on Southwest and all seats are coach class. Southwest’s sole upgrade option is Business Select, which guarantees, among a variety of perks, priority boarding and seating in A1-15 boarding, allowing passengers who upgrade to pick the seats they want and have a place to stash their carry-on luggage. Seat size: Spirit Airlines, the budget air carrier known for its “Bare Fare” (and barely there amenities), has seat pitches that range from 28 inches in a standard seat to 36 inches in upgrade seats on its aircraft. The average seat width is 18 inches. Spirit Airlines’ planes have different configurations, but these are the average seat sizes passengers can expect. Upsize options: Spirit Airlines offers BIG FRONT SEATs for those who prefer more space. BIG FRONT SEATs, located in the front of the plane, have a 36 inch pitch and are 25 inches width, with a full six inches of additional legroom compared to the airline’s standard Deluxe Leather seats. BIG FRONT SEATs can be purchased for a fee during or after booking, based on availability. Seat size: Seat size and seat pitch on United Airlines depends on which aircraft passengers are flying. Boeing 777-200: Economy seats are 17 or 18 inches wide between the inner sides of the armrests and offer a seat pitch of 31 inches. Boeing 757-200: Economy seats are 17 or 18 inches wide between the inner sides of the armrests and offer a seat pitch of 31 inches. Boeing 737-700: Economy seats are 16 to 17 inches wide between the inner sides of the armrests and offer a seat pitch of 31 inches. Airbus A320: Economy seats are 17 inches wide between the inner sides of the armrests and offer a seat pitch of 30 inches. Upsize options: Upgrade options and availability, from booking a United Economy Plus seat in coach to upgrading to Business or First class, is dependent on aircraft type. Boeing 777-200: The two upgrade options include: 18-inch wide United Economy Plus seats with a 35-inch seat pitch; and 19-inch wide First class seats with a 53-inch seat pitch. Boeing 757-200: The three upgrade options include: 18-inch wide United Economy Plus seats with a 34-inch seat pitch; 18-inch wide Business seats with a six-foot, four-inch sleeping space; and 22-inch wide United Global First class seats with a six-foot, six-inch sleeping space. Boeing 737-700: The two upgrade options include: 17-inch wide United Economy Plus seats with a 36-inch seat pitch; and 20-inch wide United Business class seats with a 38-inch seat pitch. Airbus A320: The two upgrade options include: 17-inch wide United Economy Plus seats with a 35-inch seat pitch; and 19-inch wide United First class seats with a 39-inch seat pitch. 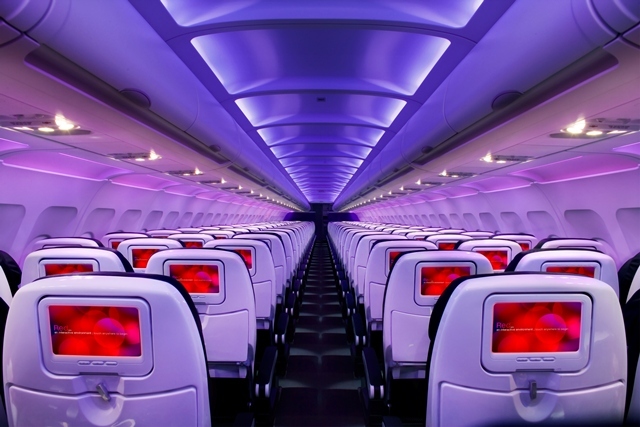 Seat size: Known for its mood-lit cabins with sleek, black leather seats, Virgin America offers three seat classes on all its aircraft: Main Cabin, Main Cabin Select and First Class. The Main Cabin seats have a 32-inch seat pitch. Upsize options: Upgrade options include Main Cabin Select, which offers roomier seats with a 38-inch pitch (six extra inches of legroom), and First Class, which includes perks like priority check-in, meal service, two checked bags and a 55-inch seat pitch (nearly two extra feet of legroom). 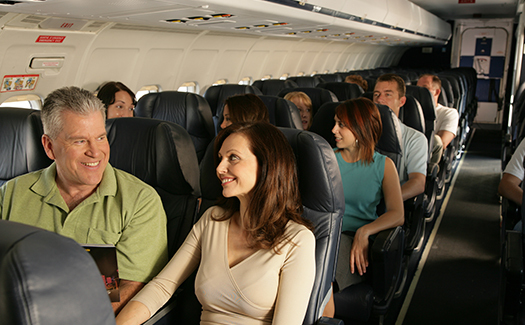 Seat size: On WestJet, the seat pitch varies depending on the aircraft and seat. The seat pitches ranges from 31 inches to 33 inches in standard seats on the Boeing 737-600, 737-700 and 737-800 and 36 inches in Plus seats. The seat pitch is 31 inches in standard seats on the Boeing 767-300. WestJet Encore, a subsidiary of WestJet, operates the Bombardier Q400 NextGen turboprop aircraft. The seat pitch is 30 inches. Upsize options: Upgrading to a Plus seat by paying a Plus fare affords travelers a variety of amenities, including more legroom. Located in the first three rows of the Boeing 737 aircraft, Plus seats have a 36-inch seat pitch. Plus seats are also located in the first four rows of the Boeing 767 aircraft and have a 38-inch seat pitch. These seats are available for selection when booking a Plus fare. Guests booking Econo and Flex fares may reserve these seats for a fee, during the 24-hour check-in window. Bulkhead seats: seats directly behind physical partitions on the plane, for example, the walls, curtains or screens that separate the different seat classes and/or sections of a plane, like the galley and lavatory. (Beware: Some bulkhead seats may actually have less pitch than other seats on the plane). Depending on the airline and your membership status, you might score a free upgrade, so join frequent flier programs and start earning miles. Some airlines allow passengers to use miles to upgrade. As a last resort, arrive early and be polite. Ask the gate agent if there are any seats with additional legroom like exit row and bulkhead seats. Last minute cancelations, no-shows and seat upgrades can cause prime seats to be released last minute. Once you’re on the airplane, if it isn’t full, politely ask a flight attendant if you can swap seats. Editor’s note: Hello, travelers. We revised this post for you to make sure it’s up-to-date, comprehensive and even more awesome. But, we can only update so fast and since this information is subject to change, always confirm with the airline.